Private businesses across Europe see regulation and bureaucracy in their domestic economies as more of a threat to the development of their companies than regulation and bureaucracy coming from the European Union (EU). In a PwC survey of 2,450 companies across 31 European countries, 39% said domestic red tape was a concern, compared with about 29% citing EU red tape as a problem. In Italy, where anti-establishment, eurosceptic parties have very recently scored electoral success, as many as 49% of respondents felt domestic bureaucracy was a problem, compared with 20% singling out EU red tape. “The most striking finding from our survey is that while it is often perceived that regulatory and bureaucratic intervention by EU authorities is stifling business initiative and ensnaring companies in red tape, most private businesses don’t feel that way. Indeed, they tend to feel the opposite: that regulation and bureaucracy in their domestic economies is more of a threat to the development of their companies than any red tape from the EU. European private businesses also see their biggest challenge as a skills shortage that is preventing them for hiring the right talent for growth. The PwC survey shines a private business spotlight on a wider, ongoing issue across the EU. PwC estimates that the skills shortage is costing the region’s private businesses €324 billion annually in lost revenues. That’s approximately equivalent to the combined annual GDP of Portugal, Hungary and Croatia. “The skills shortage in Europe is a structural issue and the employment market is tightening at a time when private businesses want to invest more and recruit more qualified staff to grow their businesses. The availability of qualified staff is dependent on factors such as free movement of labour and educational systems that provide graduates with the right qualifications. A dialogue between educational authorities, employers and employees is key to aligning the demands of private and other businesses with the expectations of society and qualifications of graduates. Nonetheless, private businesses are more optimistic than they have been for some time. They are particularly confident they can grow their companies in their domestic markets by focusing on their customers and embracing digital technologies. Mid-sized companies (defined as those with annual revenues of €50 million to €100 million) are the most positive of those PwC surveyed. That said, digitalisation was mentioned as a priority by only 31% of private businesses in Europe. This implies that many private businesses still underestimate what a digital future means for their companies and underestimate its potential, as well as the disruptive forces it is unleashing. In the second quarter of 2018 PwC surveyed 2,447 private businesses and investors across 31 European countries (EU28 plus Switzerland, Norway and Turkey). Based on the results of the survey, the economic losses due to skills shortage were calculated. 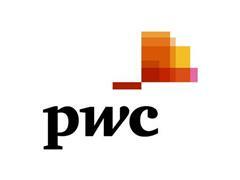 The findings were analysed and evaluated by regulatory, digital, and strategy experts at PwC.